In my last couple of columns, I’ve been going with a sort of theme for each group of books that I’ve put together. However, for this month, I’ve decided that sometimes, you just have to read what catches your eye. In this instance, I picked up a cyberpunk murder mystery, a debut space opera, and a Lovecraftian horror novel that fittingly takes place at a Lovecraftian horror convention. Starting a new series can be a daunting task, especially when you are playing with space opera. 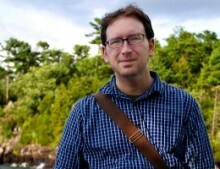 There’s an entire world to construct, in which you need to dump a compelling story. Science fiction’s history is littered with all sorts of false starts, but K.B. Wagers seems to be off to a good one with her first installment of her Indranan War trilogy. 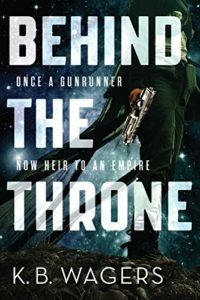 The novel follows Hail Bristol, a gun runner who fled her royal past only to be dragged back by a team from the Indranan Empire. They come with bad news: her sisters, heirs to the throne, have been assassinated, while her mother is growing sicker. Bristol will soon inherit the throne that she wanted nothing to do with. As she tries to navigate the halls of the palace, another plot is afoot that could change the course of the Empire. There are some rough patches as the book starts off, in that Wagers essentially lays out two interesting stories, joined in the middle by something that is less so. The beginning is fantastic, setting up a vivid world and some interesting characters, which quickly slows down as Bristol is returned to her home. It’s here where things get tricky: Bristol cut ties from home for several specific reasons, and it’s difficult to parse her motivations as she’s thrust into a place that she essentially doesn’t want to be. We see her go back and forth between protecting her family and longing for escape, all within the confines of palace intrigue. For most of the first half, I wish that Wager had adopted Ann Leckie’s structure from Ancillary Justice, to provide any sort of context for her actions, and that Bristol had been allowed to carry over her experience as a gun runner to running an empire. However, once the palace intrigue is settled, the real plot begins to kick in, and the book races to the finish. The plot at hand is essentially one in which external parties to the throne have conspired to topple the matriarchal line, using one of the Indranan Empire’s sort-of-kind-of enemies as cover for their actions. What Wagers has set up is smart and intriguing, and lays the groundwork for the next installment of the series, After The Crown, which comes out later this year. Getting to the end of Behind The Throne was rewarding, but what it really did was get me excited for the next installment. I picked up Nick Mamatas’s latest novel at what was likely the best time in the world for this book. One of fandom’s numerous squabbles about the state of a convention had just flared up, something that began filling up Twitter, Facebook and blogs with reactions, think pieces, and the like. 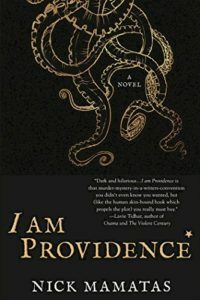 I Am Providence is possibly the best book to read if you’ve ever wanted to understand the arcane and byzantine nature of fandom, expertly skewering the Lovecraft community while at the same time recognizing that it’s part of it. I Am Providence takes place as the annual Summer Tentacular starts up in Providence Rhode Island, a convention dedicated solely to the legacy of H.P. Lovecraft. New, up and coming horror author Colleen Danzig is appearing for the first time, and she’s amused and disturbed by the mix of people that she finds there. Her roommate is an eccentric author who has pissed off his fair share of the Lovecraftian community and turns up dead, with his face removed. What follows is an absurd comedy of an investigation as the police swoop in to track down the murderer, while the convention continues on, almost as though nothing happened. There are detours as Lovecraft devotees argue and bicker over the legacy of the author they so admire, attempt to track down his long-dead cat, and perform strange rituals. Mamatas spins out a razor sharp story that is all too much fun to read, even as it’s a book that can generously be described as “inside baseball.” There are in-jokes and memes aplenty, and even though he has made an effort to change up some characters, the real Lovecraft community contains a number of strong personalities that come through pretty clearly. As we’ve all watched or even participated in any number of these fandom dustups over the last couple of years, I Am Providence shines a light on the absurd scale of it: they’re tiny fights waged by outsized personalities with stakes that are inflated so high that parodying them takes little effort at all. I kept stumbling on Laura Lam’s latest novel, in part because of the cover: it’s a beautiful, minimalist piece of work, but nothing that screams the word cyberpunk. And this is totally a cyberpunk novel, one with all the trappings of the mobile phone age. Set in far-future, utopian San Francisco, it features Taema and Tila, who were a pair of conjoined twins who had grown up in an isolated cult amidst California’s Redwoods. As teenagers, they had escaped and fled to the modern world, where they were separated and forged new lives. Ten years later, Tila appears, covered in blood and swiftly arrested—a rare occasion in a city that hasn’t seen a murder in years. Taema finds herself in a unique situation, where she can save her sister by taking her twin’s place within a vicious criminal gang that is attempting to take over the city with the use of a potent drug. Lam does a lot of heavy lifting to make a ton of separate elements come seamlessly together through an exciting murder mystery. Central to this story is the relationship between two conjoined sisters who suddenly discover that they have secrets between one another. Teama and Tila find themselves deep in a criminal plot that goes all the way back to their home in the cult, and in a situation that they are uniquely suited to take control of. As Teama takes Tila’s place in the criminal underworld, she discovers that there’s more to her sister than she thought, and that they might have become unrecognizable to one another. Another layer to this story is one of beauty. Lam puts together an intriguing, technologically advanced society, where everyone is beautiful because everyone has the means to do so: Technology has removed scarcity, and everything is perfect. By contrast, Teama and Tila are not, by San Francisco standards. They’re conjoined, a byproduct of their upbringing and genetics in the isolated cult, and while they’re accepted there, they attract stares after leaving. Even once they’re separated, they’re different. Lam’s technological utopia has its downsides. The local government helps to maintain order and peace through the use of a drug called Zeal, which allows users to act out their aggression in an Inception-like dream state. It’s this system that the Ratel gang is looking to exploit, with a dangerous variation that threatens to undermine society. 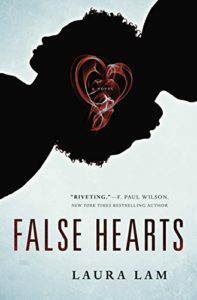 Each of these plot lines come together with a single murder, and as a straight-up murder mystery, False Hearts hits all the right buttons: it’s loaded with excellent characters, it has a wonderfully conceived of world and all the right stakes.